October is here and that probably means a whole new round of hardware updates from Apple. Last month was packed with iPhone XS and iPhone XS Max, Apple Watch Series 4, iOS 12, watchOS 5, tvOS 12, and macOS Mojave. This month the cheaper and more colorful iPhone XR will hit the market and there are even more hardware and software updates expected including big news for iPad and Mac — possibly even an October Apple event. Updated with event details, iPad mini 5 and AirPower reporting, and Mac model references. Apple held its annual iPhone and Apple Watch event in September, but Mac and iPad Pro hardware wasn’t updated. There are plenty of Mac and iPad rumors, however, and Apple has used October to show off updates to these products. Apple could always release new hardware with a press release and private press briefings, but a redesigned iPad and all-new MacBook surely call for stage time. If Apple does hold an October event this year, when should we expect it to happen? Two years ago Apple held its second fall event on October 27 (Thursday) after announcing it on October 19 (Wednesday). Updated 10/18: Apple has announced its next event for October 30th in Brooklyn, New York City. iPhone XS and iPhone XS Max launched on September 21, but iPhone XR needs a little more production time before release. Pre-orders start October 19 (Friday) with iPhone XR hitting stores and reaching customers one week later on October 26 (Friday). Holding an event around October 16 could mean other new hardware could be pre-ordered and released on the same dates as iPhone XR — just speculating at this point. When iPhone XR launches, it will give customers an iPhone X-style phone with Face ID and the full-screen display without the iPhone X price. iPhone X starts at $749 versus $999 and up for iPhone XS. iPhone XR also comes with six color options: black, white, red, yellow, blue, and coral. This phone will likely prove extremely popular. It’s faster than iPhone X and a major redesign from iPhone 8 and earlier. It’s also has a large 6.1-inch display that will show the same amount of content as the much pricier iPhone XS Max. Updated 10/23: Ming-Chi Kuo now predicts a low-cost iPad mini update soon, although it may not be part of the October event. Updated 10/24: Three desktop Mac models and one laptop Mac model have been registered before the event. We expect a few software updates this month that will bring new features to the latest hardware. iOS 12.1 will bring live preview for Depth Control in Portrait mode on the iPhone XS and iPhone XS Max camera along with dual SIM support with supported carriers. 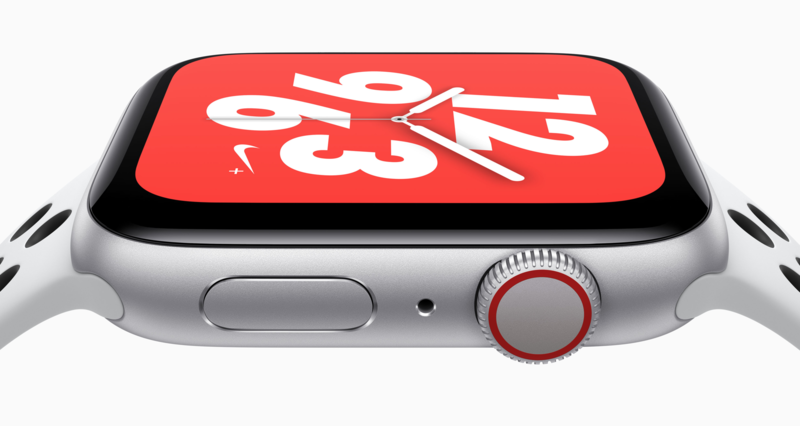 watchOS 5.1 will introduce the new ECG app on Apple Watch Series 4 in the United States that lets you take an FDA cleared electrocardiogram of your heart from the watch. The Health app on the iPhone in iOS 12.1 will let you share the results with your doctor in a PDF document. Group FaceTime will also likely debut as part of iOS 12.1 and macOS 10.14.1. The feature is currently in beta on both platforms after being removed from iOS 12 and macOS Mojave betas over the summer. Group FaceTime lets you video and audio call with up to 32 users with the ability to easily join and leave calls using iMessage. No one knows exactly when AirPower will be ready. Apple hasn’t amended its goal of sometime in 2018 since AirPower’s preview in September 2017, but it also hasn’t shipped in the 12 months since that teaser. There’s lots of evidence that AirPower’s launch is imminent — code in iOS 12.1 beta, the iPhone XS manual, and a change to how the Milanese Loop unfolds for Apple Watch Series 4 — but the silence from Apple also speaks for itself. Updates to AirPods are also in the pipeline with a “Hey Siri” feature for activating the voice assistant without a tapping gesture rumored, but the wireless charging case for AirPods that’s already been shown off likely relies on AirPower’s debut. Updated 10/23: Ming-Chi Kuo still predicts AirPower’s launch in late 2018 or early 2019 based on supply chain data. The Nike+ version of Apple Watch Series 4 hits stores on Friday, October 5. It includes the new analog watch face with full screen color backgrounds, new Nike Sport Loop bands with reflective yard, and the Nike Run Club app built-in. Nike should release an updated version of NRC for all Series 4 watches by Friday as well. HomePod also reaches new markets this month with Mexico and Spain gaining access on October 26 — the same day iPhone XR hits stores.